3D Print Air Quality – HIPS -vs- ABS Whos Cleaner! In this episode, we will be looking at HIPS -vs- ABS from an air quality standpoint. 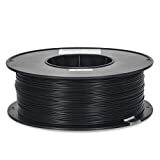 As HIPS (High Impact Polystyrene) is typically know as a support material for printing with ABS as it is dissolvable in in d-Limonene (see here: amzn.to/2Gm2Xp8). ← GearBest GeeeTech E180 – Voronoi Printing and Retraction Voodoo!